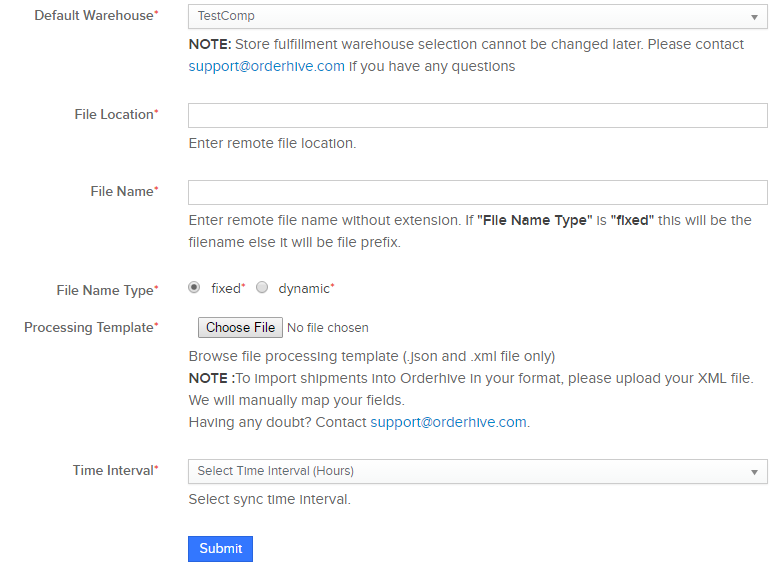 Integrate your FTP Server to import shipments of orders at regular intervals in Orderhive using XML. Go to Add Integrations page. 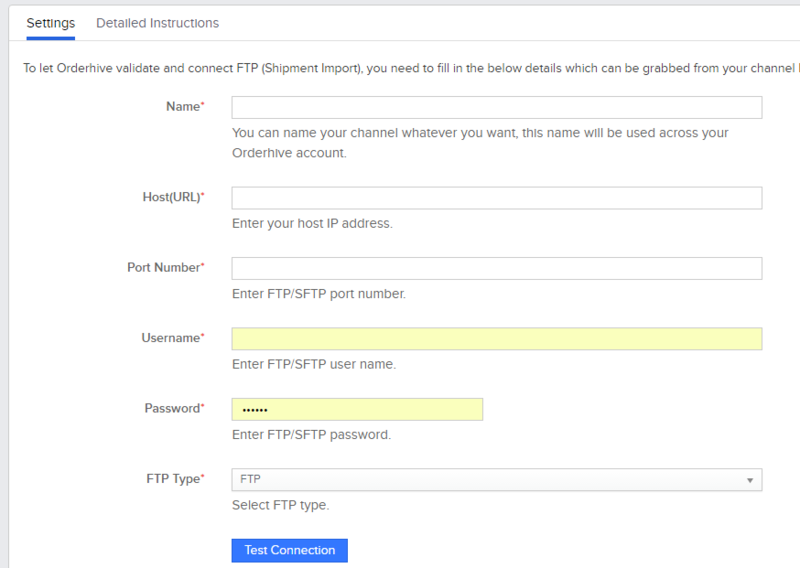 Select FTP from category and go to FTP Shipment Import. Now, select the Default Warehouse. This warehouse would be the one from which the shipment is fulfilled.